Home / English Horn - Instruments & Bocals / Used English Horns / Used Buffet English horn #12XXX - SOLD! 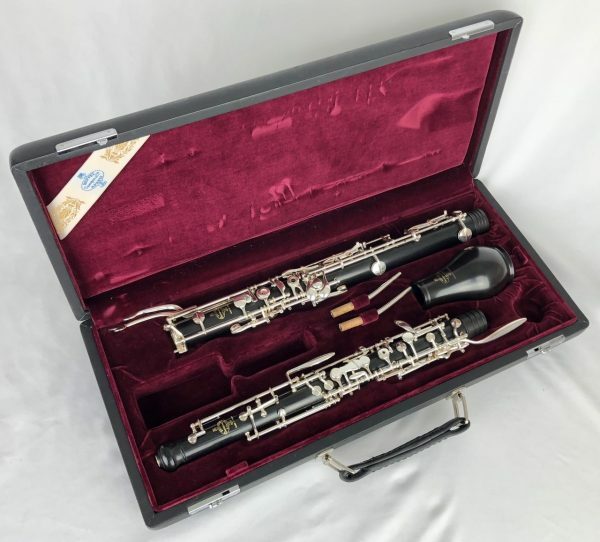 This lovely Buffet English horn was new in 2010. It shows minimal signs of wear, with shiny keywork and pristine wood body. The horn comes with the original two Buffet bocals. This instrument was just through our repair department for a tune-up, and it has excellent seal and a good scale. No evidence of any cracking. Comes in Buffet case with Cavallaro case cover. Also included with the purchase is a 1-year crack & maintenance warranty. Contact Jeff or Steven at 800.926.5587 for trial information and availability.